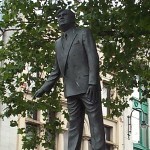 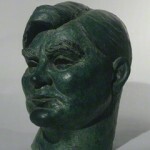 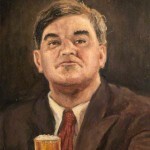 In contemporary ideas of the NHS the figure, or icon, of Nye Bevan is clearly and deeply intertwined with our understanding of the origins of the NHS. 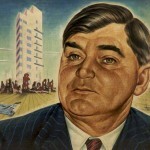 This often finds its most persuasive force in much of the popular visual culture exploring this ‘special relationship’, where Bevan sits at the very heart of how we remember the NHS and is inextricably bound to our popular memory of its origins. 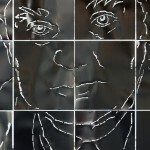 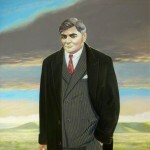 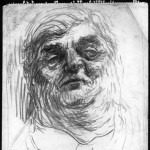 Often described as the 'father' and 'architect' of the NHS, these portraits explore the identity of Bevan as both a local and national hero, but not all of the images necessarily tie Bevan to the inception of the NHS. 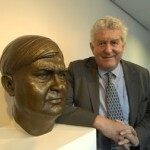 This might in fact lead us to question when the relationship between Bevan and the NHS became such a dominant idea in his representation as a political icon.